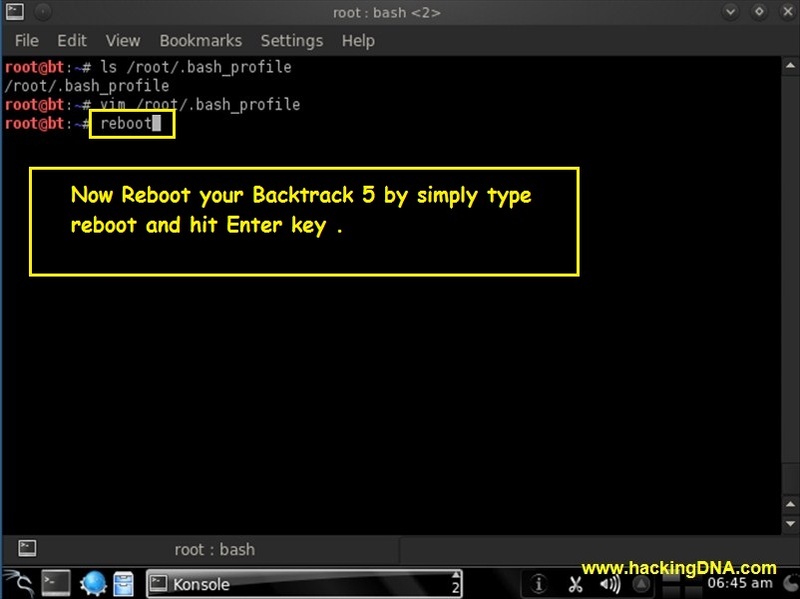 Start Backtrack 5 Without "Startx"
Here in this article we learn how to bypass the login id ,password and startx which usually you enter to start Backtrack . 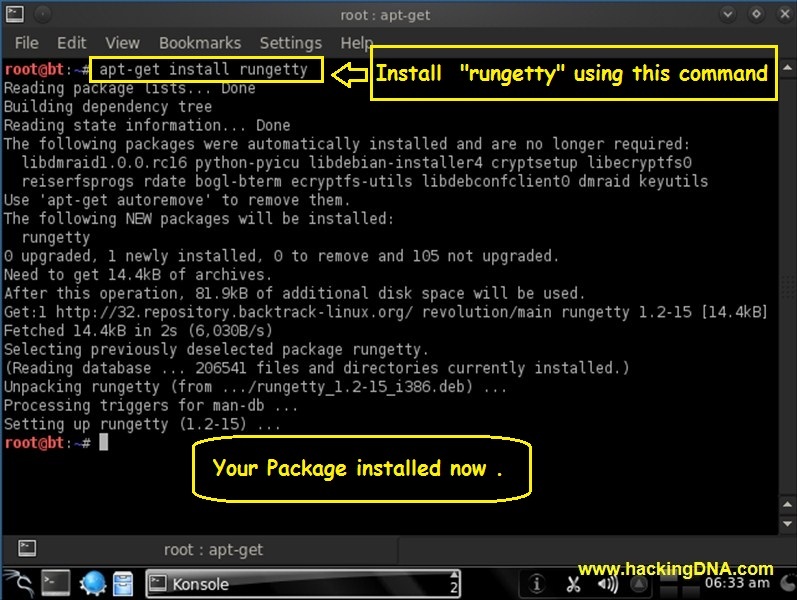 First you have to install this software package called " rungetty ". 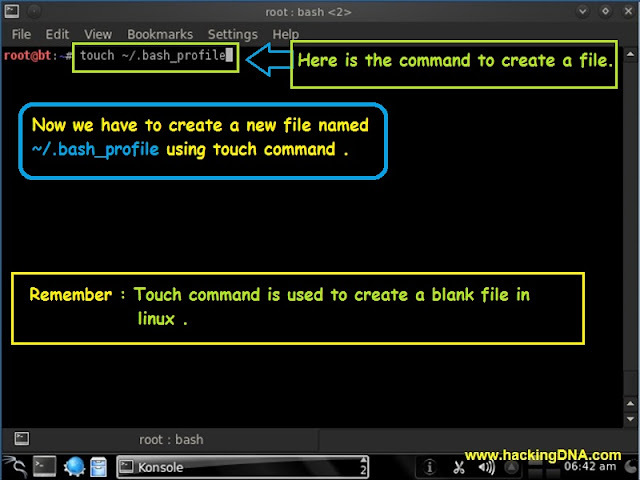 See the image how to install it . Now next step is to open a tty1.conf file on vim editor . 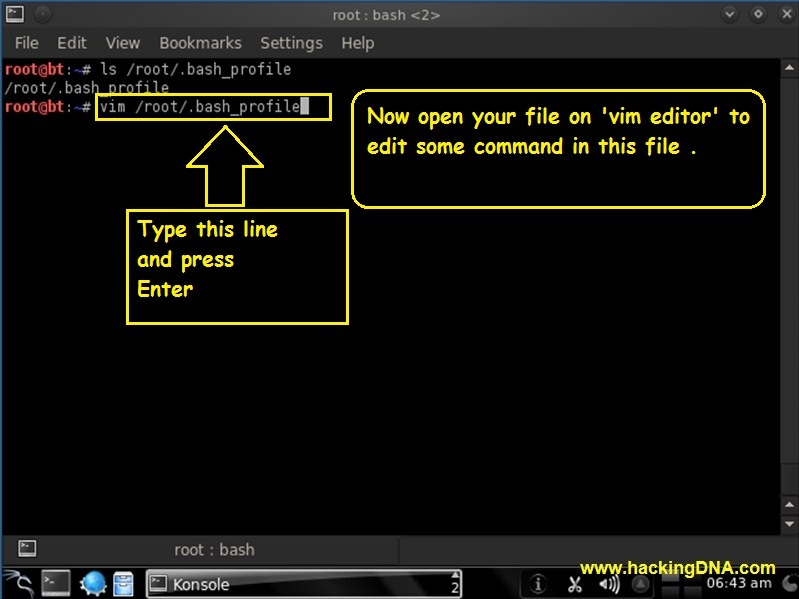 Your terminal look like this when you open tty1.conf file . After editing save your file by pressing Esc key and :wq and press enter key . 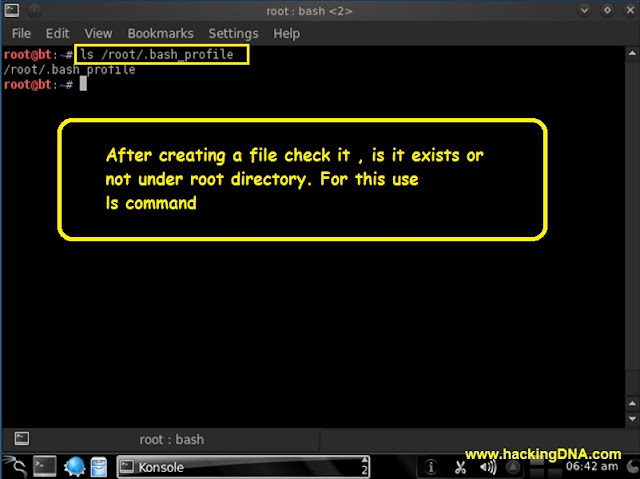 Now you have to create a new file named ~/.bash_profile . 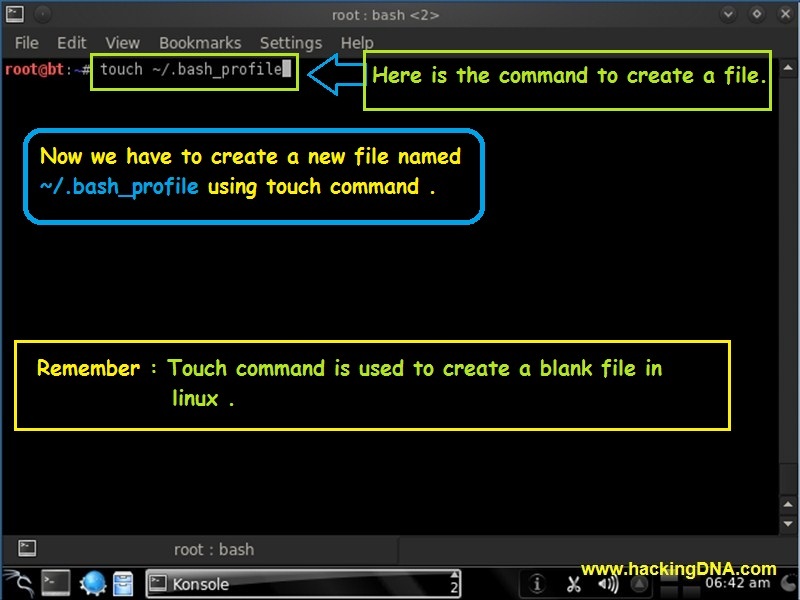 T o create this file you have to use touch command as shown above in the image . 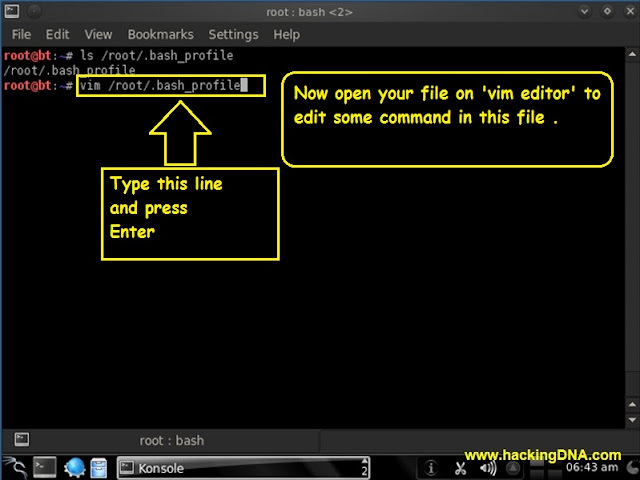 Now open your file which you created in earlier step using vim editor as shown in the image . 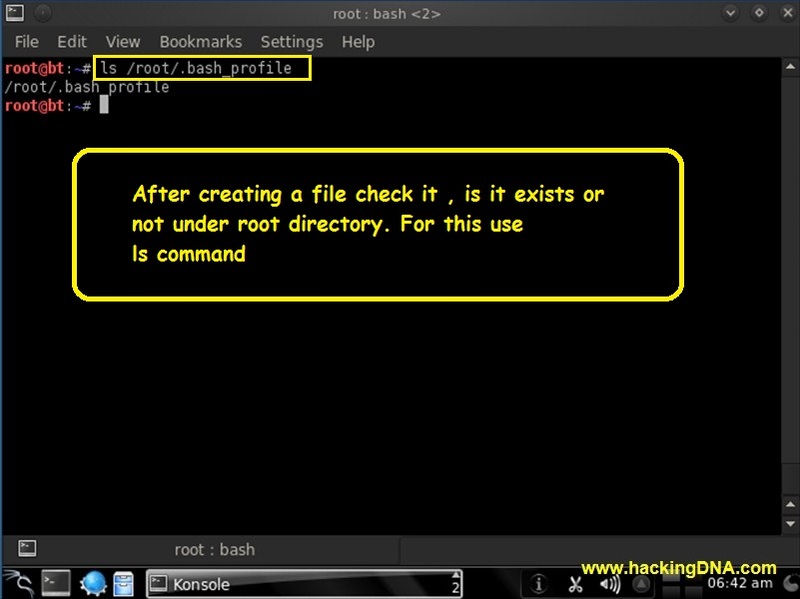 Here it is when you reboot your system it will not ask you to enter login id ,password and startx again . 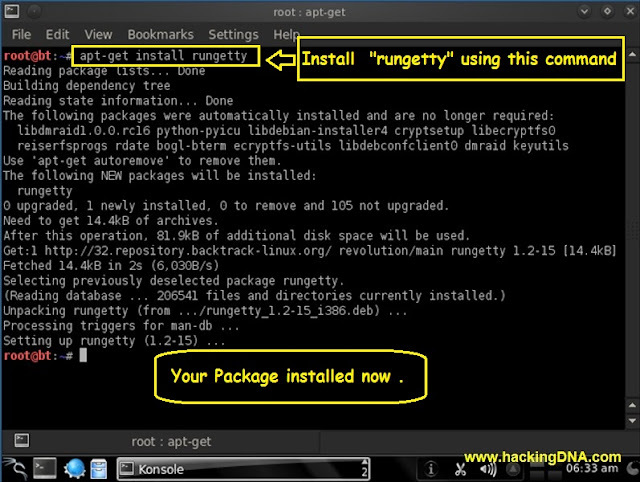 This small utility known as "rungetty" help you to bypass all this . 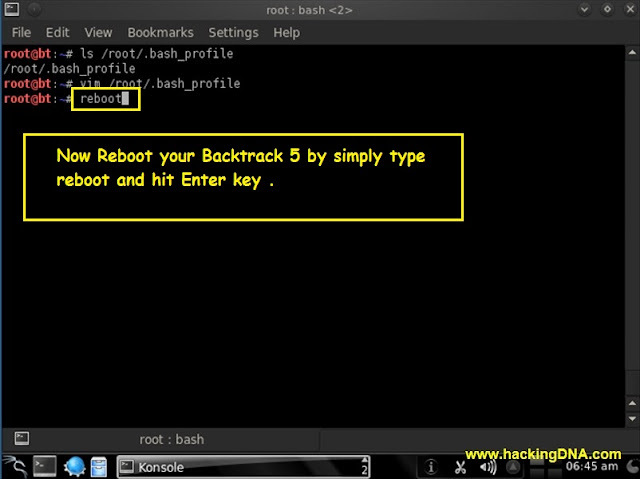 Now upgrade your BACKTRACK 5 to this method and be different from others .